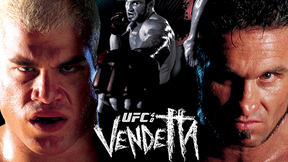 The ever infamous UFC 33: Victory in Vegas, which has been credited by UFC President Dana White as the “worst show we’ve ever had”, was headlined by Tito Ortiz and Jens Pulver putting their respective light-heavyweight and lightweight belts on the line. Tito Ortiz vs Vladimir Matyushenko UFC 33 Fri, Sep 28, 2001 (34:24) Targeting a record 5th consecutive/successful title defense, UFC light-heavyweight champ Tito Ortiz entered the Octagon to collide head-first with former Soviet National wrestling champ with an MMA record of 10-1 - Vladimir “The Janitor” Matyushenko. 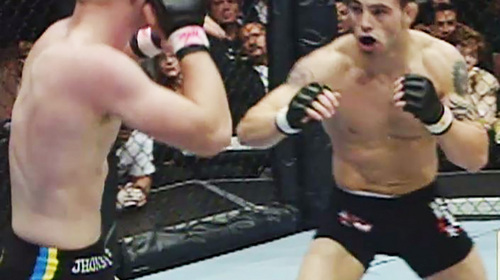 Jens Pulver vs Dennis Hallman UFC 33 Fri, Sep 28, 2001 (35:16) After winning the belt earlier in the year, UFC lightweight champion Jens “Lil’ Evil” Pulver was ready to make his first title defense against the submission magician Dennis Hallman, who, in his Octagon debut, armbarred Matt Hughes in 20 seconds. 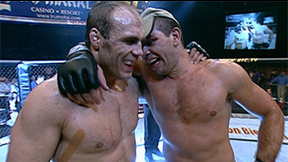 Dave Menne vs Gil Castillo UFC 33 Fri, Sep 28, 2001 (34:32) Submission wizard Dave 'The Warrior' Menne took on powerful wrestler Gil Castillo for the first ever UFC middleweight championship. Chuck Liddell vs Murilo Bustamante UFC 33 Fri, Sep 28, 2001 (22:47) In a battle between future title-holders, stand-up specialist Chuck “The Iceman” Liddell entered the Octagon enjoying a 6 fight win streak, including a knockout inducing stint in PRIDE, against undefeated Brazilian jiu-jitsu blackbelt Murilo Bustamante. Matt Serra vs Yves Edwards UFC 33 Fri, Sep 28, 2001 (22:13) After suffering a highlight reel KO in his UFC debut, Matt Serra aimed to make a second first impression by putting his Renzo Gracie BJJ blackbelt to good use against Octagon first Yves Edwards, a multi-talented threat with a solid 18-5-1 record. Jaturo Nakao vs Tony DeSouza UFC 33 Fri, Sep 28, 2001 (12:31) Entering the Octagon for the first time, BJJ & judo blackbelt and veteran of the Japanese MMA promotion Shooto, Jutaro Nakao, was ready to trade fists and feet with undefeated in MMA, former D1 wrestler & BJJ blackbelt Tony “Peruvian Savage” DeSouza. 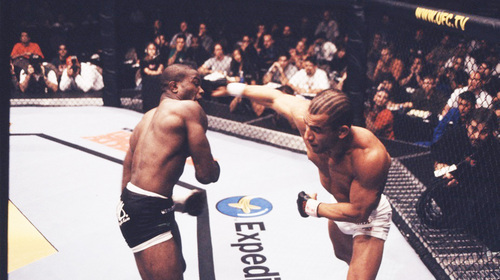 Ricardo Almeida vs Eugene Jacson UFC 33 Fri, Sep 28, 2001 (10:41) It was rough-sledding for Renzo Gracie’s BJJ blackbelt Ricardo Almeida in his UFC debut. 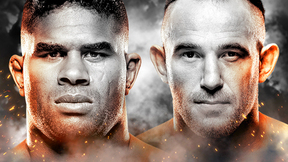 In his Octagon return, the “Big Dog” targeted the hard-hitting, 11-5-1 Eugene “The Wolf” Jackson. Din Thomas vs Fabiano Iha UFC 33 Fri, Sep 28, 2001 (24:07) To kick off UFC 33’s prelims, a battle of Brazilian jiu-jitsu blackbelts as American Top Team product with a 12-2 pro record Din Thomas entered the cage to face Octagon veteran “King of Armbar” Fabiano Iha.